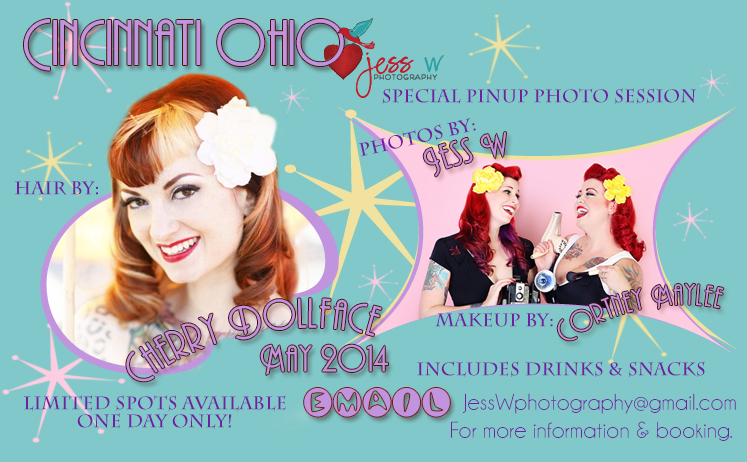 I am so excited to announce that the lovely Miss Cherry Dollface will be coming to Cincinnati for some very special events at Jess W Photography Studio that you won’t want to miss! We are looking forward to having Cherry Dollface come visit us and share her talents. Make sure you book soon these very limited spots are filling VERY fast!